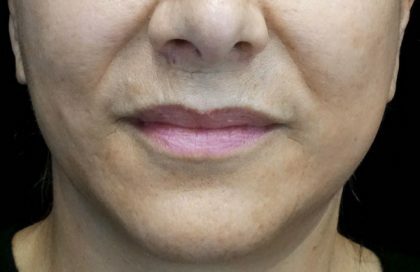 Utilizing the variety of dermal fillers and injectables available in our Pittsburgh office, Dr. Anna Wooten smoothes the appearance of crow’s feet, forehead furrows and laugh lines. She works like an artist to subtly emphasize your best features and enhance those that may have lost volume with time. We have helped men and women from Pittsburgh to Cranberry Township and beyond look and feel their best with med spa treatments. Contact us online today or call 724-759-7777 to schedule your microdermabrasion consultation. Our Beleza office offers several different types of facial fillers, such as BOTOX, Restylane, and Bellafill. These treatments are minimally invasive and require no downtime. Dr. Wooten explains the use of the dull cannula technique for her filler injections. 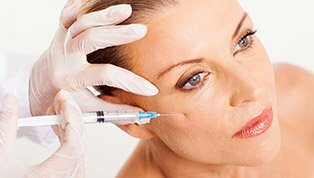 Injectable wrinkle relaxers (like Botox or Dysport), a.k.a neuromodulators, work by temporarily stopping muscle movement at the site of injection, releasing tightness, thereby allowing for a less aged or stressed appearance. This temporary freezing also serves to prevent further wrinkling by not permitting the muscles to exacerbate existing creases, allowing for a more youthful look for both female and male patients. Does your sweat bother you? If you are done with pit stains and body odor, have your armpits done at Beleza! Products such as Botox can be injected in the armpits, brow, palms, or other areas in order to minimize sweating and odor. BOTOX is the most popular injectable available in Pittsburgh. The product, manufactured by Allergan, is one of three FDA-approved neuromodulators on the market. Due to its ability to temporarily relax facial muscles which can cause wrinkles and furrows, botulinum toxin, (a.k.a. BOTOX) is a fast way to achieve a more youthful look. Because Botox temporarily paralyzes the muscles of the face, Botox not only minimizes the appearance of wrinkles, but it also discourages the worsening of existing ones. The results are visible after seven to ten days, and can last for up to five months. For Botox injections, you can schedule a consultation in our office. Appointments for Botox injections take only thirty minutes. DYSPORT is a neuromodulator, manufactured by Galderma, that serves to relax existing wrinkles, and prevent the worsening of existing creases. It can be injected in the forehead, between the brows, or in the crow’s feet area to prevent further wrinkling. Appointments for Dysport should not take any longer than half an hour, which makes it the perfect anti-aging “pick-me-up” that can be done on your lunch break. The results of Dysport are visible within seven to ten days, and last up to five months. XEOMIN is another wrinkle relaxer, similar to Botox and Dysport. Xeomin injections are a fast way to diminish the appearance of fine lines and wrinkles. The results are visible after several days and results can last up to five months. 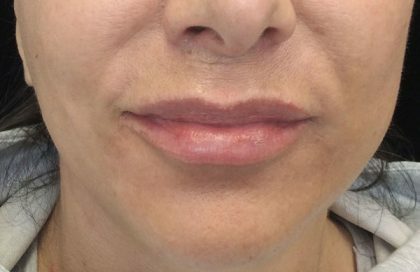 Fillers are most often injected in the lips or cheeks, but they have a variety of alternate applications. 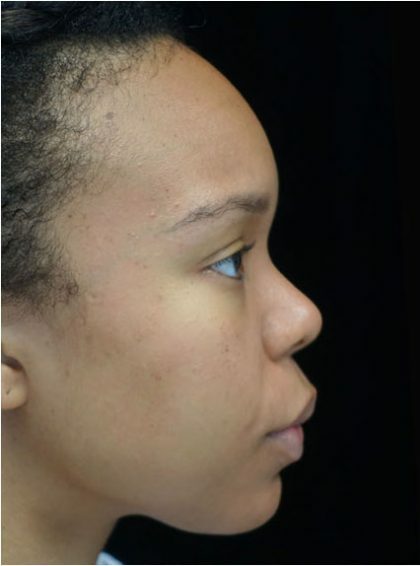 Fillers (like Juvederm or Restylane) are an excellent way to restore the appearance of volume to a hollow area that has lost fat due to aging or weight loss, or to simply plump and emphasize an area you would prefer to accentuate.From temporary chin augmentations to creating the illusion of a straighter nose, you may be surprised at what Dr. Wooten can achieve using facial fillers. BELLAFILL is the most long-lasting facial filler available. 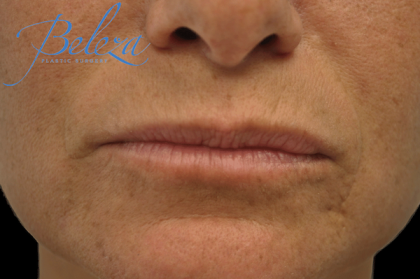 This filler has been approved by the FDA for 5 years of efficacy and safety – more than any other filler on the market – and we offer it here at Beleza Plastic Surgery! Bellafill helps the patient to stimulate natural collagen production, helping to increase facial volume. Manufactured by Suneva Medical, Bellafill is designed for the correction of smile lines using their patented microsphere technology. This allows for results that can last up to five years. As patients age and lose their natural facial fullness, Bellafill helps to counteract the formation of fine lines and deep wrinkles by lending a more youthful appearance to the aging face. Results are visible immediately after injection. We would recommend that you come in to the office about a month before your event, be it a wedding, black tie event, or graduation. JUVEDERM is an injectable gel that had been popular in Europe for years before becoming available for dermatological use in the U.S. It is manufactured by Allergan, the same company that makes Botox. It is made out of a water-soluble substance that is naturally present in our skin, called hyaluronic acid. Juvederm is injected into a skin wrinkle or unwanted crease to erase it or make it more shallow. The greatest advantage of this filler is its softness. It is most commonly used for volumizing lips and smoothing out the perioral area. The results are visible immediately following the treatment. The results last six to nine months. RESTYLANE Lyft is a facial filler which restores volume to the skin by filling wrinkles and lines around the nose, mouth and chin at the more superficial skin layer. Our injectors achieve a natural, soft and smooth look with this filler. The results are instantly visible and should last up to six months or longer. RESTYLANE Silk is in the Galderma family of injectable gel fillers. It is a hyaluronic acid-based filler, designated specifically by the FDA for use in the lip and peri-oral region, for smoothing out fine lines as well as deeper wrinkles on and around the mouth. Restylane Silk contains an anesthetic numbing agent of its own to minimize patient discomfort during and immediately after injection. This filler is, essentially, the latest & greatest in lip smoothing & plumping – having only been introduced to the Pittsburgh market earlier this year. 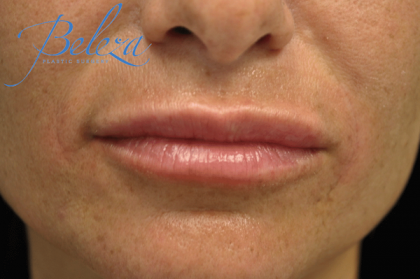 BELOTERO is a lip and facial filler which has been touted as a “wrinkle killer”. Belotero restores volume to the skin by filling wrinkles and lines at the superficial skin layer. The result is a natural, plumper look that is instantly visible and should last up to six months or longer, though the duration of its efficacy varies from person to person, and depends upon the site injected. RADIESSE is a filler produced by Suneva Medical which stimulates the body’s own collagen growth at the site of injection. It is a great cheek-volumizing filler that lends a softer and brighter quality to your skin. The results are immediately visible and can last for a year or longer. Juvederm VOLUMA XC is the only facial filler indicated for use in the entire face. It is manufactured by Allergan, and is often called just Voluma. Much like other fillers, it is an excellent way to plump up those tired wrinkles and correct for the volume we naturally lose as we age. This is a preferred injectable for the cheekbones. During your initial consultation, bring your areas of concern to the attention of Dr. Wooten. If you are planning to have injections done, make sure that you are not taking any medications that can potentially cause bruising (any blood thinners, fish oil, etc.) for up to four weeks prior to the appointment, unless these medications are prescribed by your doctor. If so, be aware that bruising can occur when you are on any type of blood-thinning medication. You do not have to wait until your skin develops deep lines to indulge in injectable procedures! Prevention is key. Sometimes, younger faces can still benefit from plumping fillers or preventative Botox. Bring your concerns to the attention of Dr. Wooten during your consultation and you will be counseled on your best options. Injections at Beleza Plastic Surgery are performed by Dr. Wooten herself. If pain is a concern of yours, you may receive some form of local anesthetic prior to the procedure, which will make the entire process more comfortable. Filler injections take only a few minutes. A small amount of swelling is expected for a few hours or days after the procedure. If you tend to bruise and swell easily, advise us of this! We have products to counteract these effects. Bruising is unusual, as long as you have stopped all medication that can potentially cause bruising and swelling for at least two weeks prior to the injections. Unlike many other cosmetic rejuvenation procedures, facial fillers and injectables have an extremely short recovery period. Some swelling may last, but only for a few hours and any redness should disappear shortly and can be easily covered by makeup. As with any medical procedure, the benefits of facial fillers and injectables come with some health risks. 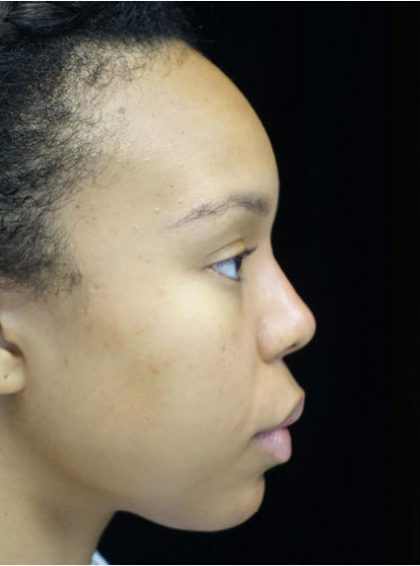 While some possible asymmetry, overcorrection or undercorrection may occur even with an experienced surgeon, a skilled board-certified plastic surgeon, such as Dr. Wooten, will usually be able to minimize the possibility of these outcomes. In the event of patient dissatisfaction, we encourage our patients to call the office to schedule a touch-up. Beleza patients who purchase any injectables including Botox or Dysport and filler receive one of our stamp cards! Work your way up to six stamps and get your next syringe free! Schedule your consultation with our Nurse Injector, Christiana McCarthy RN BSN. I have an event coming up; when is the best time for me to come in for injections? We would recommend that you come in to the office about a month before your event, be it a wedding, black tie event, or graduation. Allow time following your treatment for any swelling to come down, for any neuromodulator you have received to take effect, and for your to address any further concerns.